You visit Chicago for the weekend and need to get from Navy Pier to Wrigleyville for a Cubs game. How are you getting there, bus and or The “L”. You go to D.C. for business and need to get from your hotel to the meeting you have how are you getting there? You are probably taking the Washington Metro. These means of transportation are common, it’s what is expected. No one thinks twice or blinks an eye that you would use a public form of transit to get to the places you need to. Yet you return home land at Detroit Metropolitan Airport, get in your car drive home, drive yourself to work and everywhere else you need to go. Why don’t you take Detroit public transit? Detroit public transit has many faults I will be the first to admit that. You have to ask yourself though why would the city invest money into a system that nobody wants to use? Then I ask why don’t you want to use it? I think there are many excuses for why people choose not to use Detroit’s bus system. I hear excuses that the buses are dirty, the buses are never on time, it’s inconvenient, or maybe unsafe. Some of these things have varying degrees of reality but I will argue that they are greatly over exaggerated. Detroit’s bus system, DDOT, previously had many issues of being on time, may still be occasionally be late but their reliability has increased greatly more recently. They don’t run as often as you may want or may see in other cities but when the ridership is less there isn’t the demand to have it be more regular. If more people start to utilize the bus system then maybe the frequency of the bus arrivals will increase. The safety of the bus itself I do not believe to be an issue. Once you are on the bus there are many “normal” users just as yourself looking to get from point A to point B and the bus gives them that opportunity. Taking the bus in Detroit is to often looked upon as being for the less fortunate or those who cannot their own car and means of transportation. Somehow Detoriters have forgotten the benefits that individuals in every other metropolitan city take advantage of. Ride the bus and you don’t have to worry about finding or paying for parking. Ride the bus and you could possibly not own a car, many you don’t have to pay for auto insurance (incredibly expensive in Detroit), you don’t have to purchase gas, you don’t have to maintain your vehicle or pay for parking at your apartment or even your work. All I’m suggesting is give DDOT and the bus system a chance. 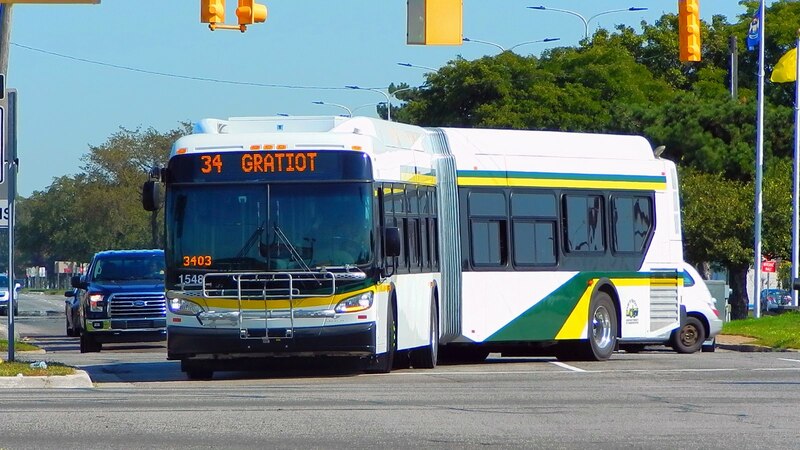 When was the last time you rode the bus in Detroit, have you ever? It’s not that bad in fact often times it just makes sense and its simple. Don’t know how to ride the bus, ask me I’m more than happy to assist or visit the DDOT website, www.detroitmi.gov/ddot . The entire process is relatively straight forward and simple. You don’t know where the bus will take you or which route to take? The website will help you there. Not knowing how is a poor excuse, you don’t know how to use the public transit when you visit another city but we all seem to figure it out. Take the time, try DDOT’s bus system and realize it can be beneficial. Stop with the excuses.